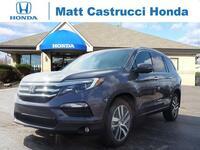 The 2017 Honda Pilot is back and it’s at Matt Castrucci Honda! 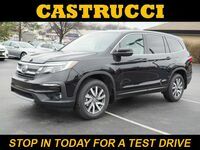 Introducing the new 2017 Honda Pilot in Dayton, OH. This new generation of the beloved SUV has gotten a few upgrades. 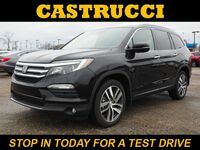 New connectivity technology, design elements, and performance features greet you in the new Pilot! Styled to be versatile, utilitarian, comfortable, and stylish, the Pilot is back and better than ever. 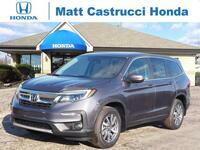 The exterior of the new Pilot is refined and sporty. It has eight different color options that you can choose from, making the Pilot extremely customizable. Also, with the cargo capacity of the Pilot, you can carry anything you need with you on your next trip. 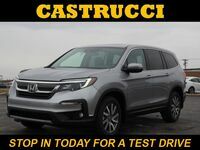 And, with the addition of the active and passive safety features within the Pilot’s design, you can feel confident and secure while on the road. 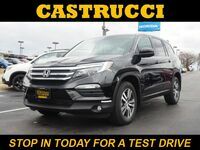 The 2017 Honda Pilot is equipped with a 3.5-liter V6 engine. 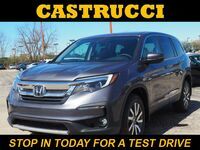 It also gives the option of an AWD that helps to improve driving performance and traction, making the 2017 Honda Pilot powerful and agile. 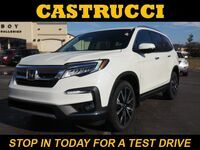 This SUV comes with Honda Sensing™. 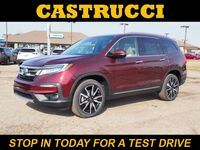 It is available on the EX and EX-L trims, and standard on the Touring trim level. This is a suite of active safety features that helps keep you alert and safe on the road. 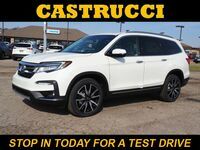 Plus, new for the 2017 Honda Pilot is the addition of the availability of Apple CarPlay™ and Android Auto™. These features give drivers new options when it comes to staying connected and entertained. 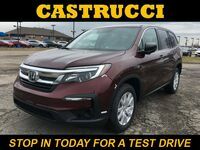 And this is just a snapshot of all you could have in the new 2017 Honda Pilot in Dayton, OH. 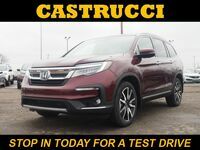 Want to learn more about the 2017 Honda Pilot connectivity technology, convenience, and performance specifications? 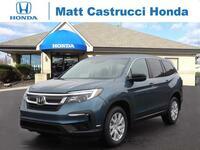 Come visit us at Matt Castrucci Honda and find a Pilot that is right for you! 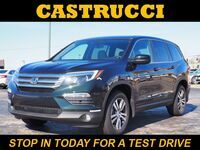 Call us at (855) 250-8986, contact us online, or stop by in person!